Making their debut with this EP (which is titled as simply Stonecutter EP on their BandCamp), this duo from Poland introduce themselves to the world with five tracks focused on having fun with that mix of styles that Polish groups seem so adept with: namely, doom/stoner metal with a wide streak of psychedelia and some bluesy currents. 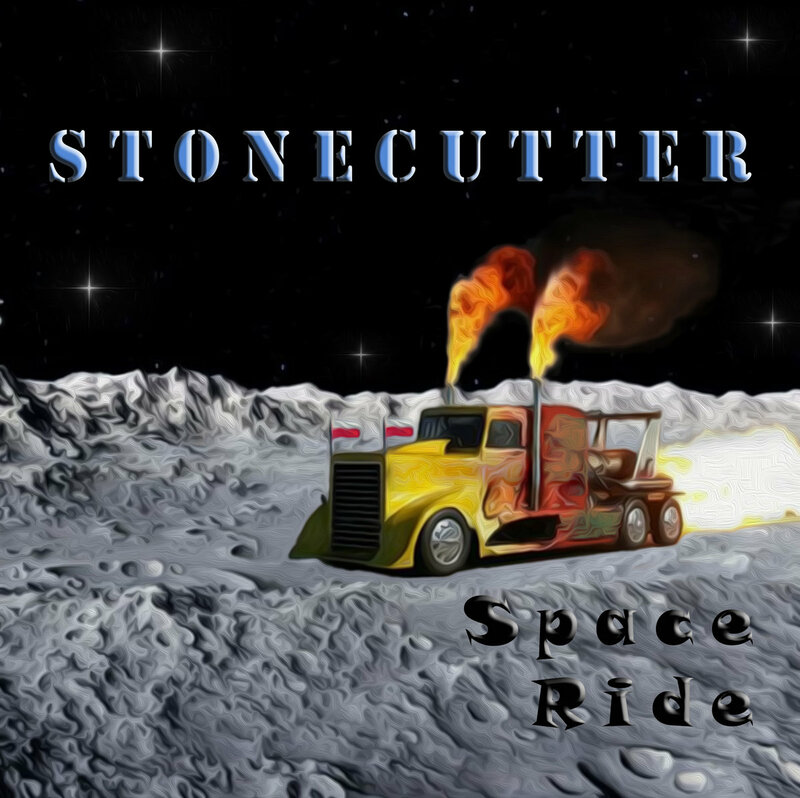 Opening track "Tombstone" draws listeners into the action with eight minutes of instrumental cruising, building momentum and craggy riffs with thick fuzzy bass to serve as their tarmac, before "Space Rock" activates the jets to break out of the atmosphere and head for outer space with plans of bleary-eyed mischief. Alternating between deep, hard crunches and more open acoustic environments for the strings, the song keeps things burning along without staying too rooted in what came before it. The band's self-titled track picks up from there, sprawling out over more than nine minutes, and slipping into a mellower ride (one which literally gave me goosebumps as the tones slid over each other), though it's not too long before the heaviness re-emerges, with pedal treatments of the strings producing something akin to gravity's pull in audio form. "Stone Cold Blues" picks up after that, getting even crunchier and dirtier with the riffs, and finally, "Klint Westwood" provides a two-minute wrap-up with a spaced-out take on a familiar melody. As a whole, the EP does a great job of showing off the duo's talents, covering a nice range of varying styles, heaviness, and techniques in execution, while leaving enough unsaid to build temptation for follow-ups. Personally, I can't wait to hear more from this band, so I'll be hoping that they get the recognition and support from fans that they've earned with their work so far.